From the 1st April 2019 Gabapentin and Pregabalin are changing to a Scheduled 3 CD (Controlled Drug). Good practice requires that this class of drug is limited to a 1 month supply. If your prescription for Gabapentin or Pregabalin is currently for more than 1 month then your quantity prescribed may be reduced. As these will be Controlled Drugs from 1st April, prescriptions will be unable to be sent electronically to your pharmacy and will need to be collected from the surgery. Prescriptions can still be collected by your Pharmacy, please discuss with them how this will be arranged. Scartho Medical Centre will be closed on the following dates in 2019 from 13.00 – 18.30hrs due to protected learning time for staff. Extended Access - Times are Changing! If you have an urgent health need that is not an emergency, please dial freephone number 111. If you have an mental health or adult social care need please ring 01472 256256. If your need is an emergency, please dial 999. We are seeking a GP Post-certificate of completion of training to join our Practice. We are seeking a HCA to join our well established and structured team. Experience of working within a busy and ever-changing frontline NHS environment would be advantageous as this post is fixed term. The successful post-holder will be flexible, will be able to deliver care and compassion to our patients’ and ideally will have experience of HCA duties within a busy General Practice setting. The way we invite patients in for their annual review is changing. Patients with long term conditions / chronic illnesses will be invited for their annual review on their birthday. Some patients may have more than one long term condition. If this is the case, all relevant conditions will be reviewed within the one annual review process. This ensures that you are only attending the surgery when you need to and that we are not asking you to attend the surgery unnecessarily. For some conditions, it may be necessary to have more than one appointment. Some conditions may require an interim review e.g. at six months but this will be discussed at the annual review where it is felt to be appropriate. We appreciate that some people will have already had their annual checks done recently. However, in order to get the new system working and everyone having their review around their birthday, we would ask that people still arrange a birthday review when they receive a letter inviting them to do so. If you have any questions with regard to the annual review process, please do not hesitate to contact us. 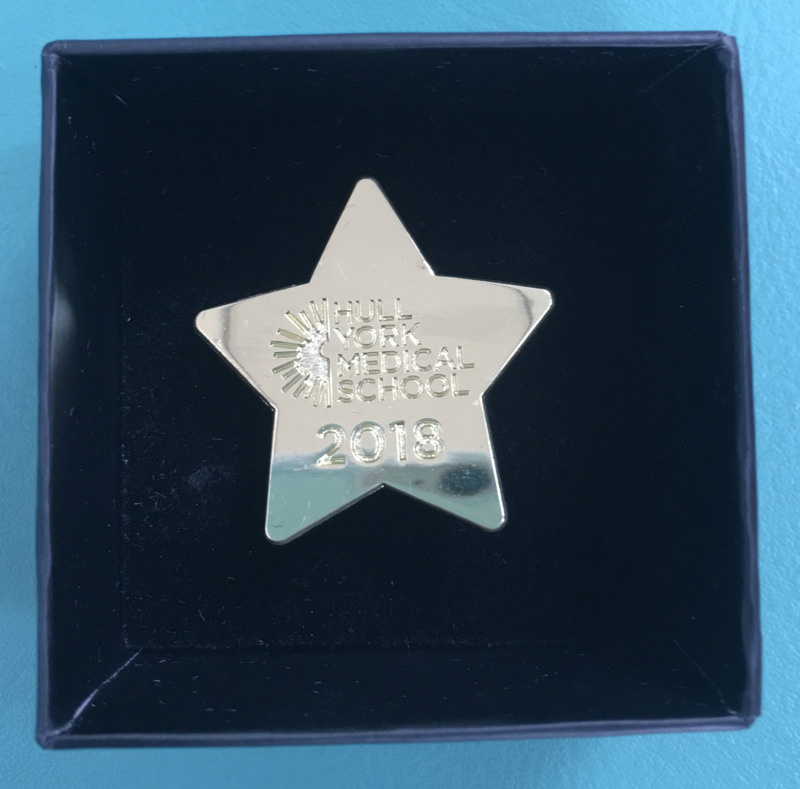 Congratulations to Scartho Medical Centre on being a finalist at the HYMS Teaching Excellence Awards 2018! "Provide students with a genuine welcome"
"Proactive in the way they manage us, appointing devoted mentors who work hard to provide an excellent learning experience"
"The staff are always willing to help, give advice or deliver teaching"
"As students, we feel like we have really become a valid part of the team. The staff are accommodating, treat us well, and allow us to develop our role. It has been a pleasure working with them!" We are very proud of this award, which is a credit to the full team. Well done Team SMC! 155 patients did not attend for their booked appointments in January. It's important that you advise us if you are unable to attend. Every time that a patient does not attend an appointment, the overall wait for other patients to be seen increases. 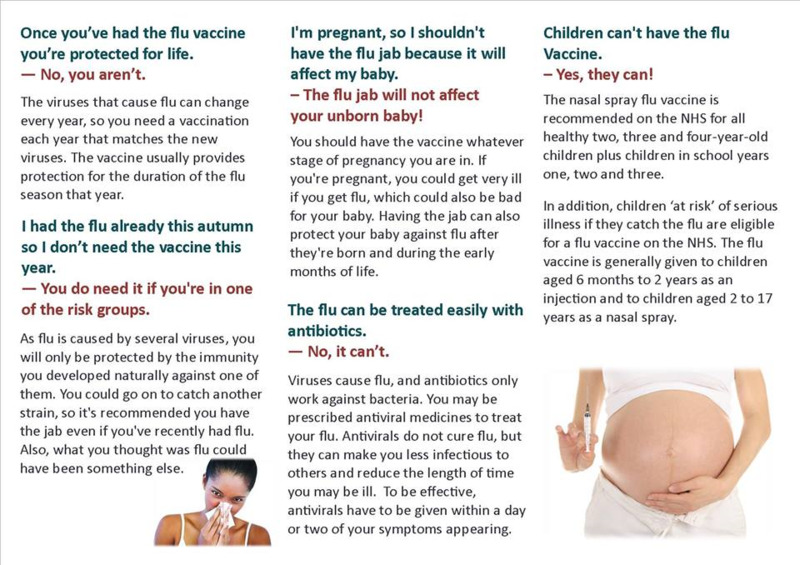 We can offer your appointment to another patient if it is cancelled. Scartho Medical Centre held our annual PPG Workshop at Milfields Hotel on the 8th February. Julie Wilson from the CCG came to speak to us about how contracts work in Primary Care. Dr. Salisbury delivered a speech about changes to funding and working at scale. He also explained about the increased workload clinicians currently face. Debbee Wood our practice manager spoke about working at a federation level and part of an Accountable Care Partnership, and what this means for Scartho Medical Centre. Christine our chair PPG member spoke about the recommendations of Scartho Medical Centre become a carer friendly practice and the work we can do to become more carer aware. We are sad to announce that we are going to be saying goodbye to Dr Tim Bruning who is leaving his post of Salaried GP at Scartho Medical Centre on 1st March 2018. I am sure you will join us in wishing Dr Bruning all the very best for the future. 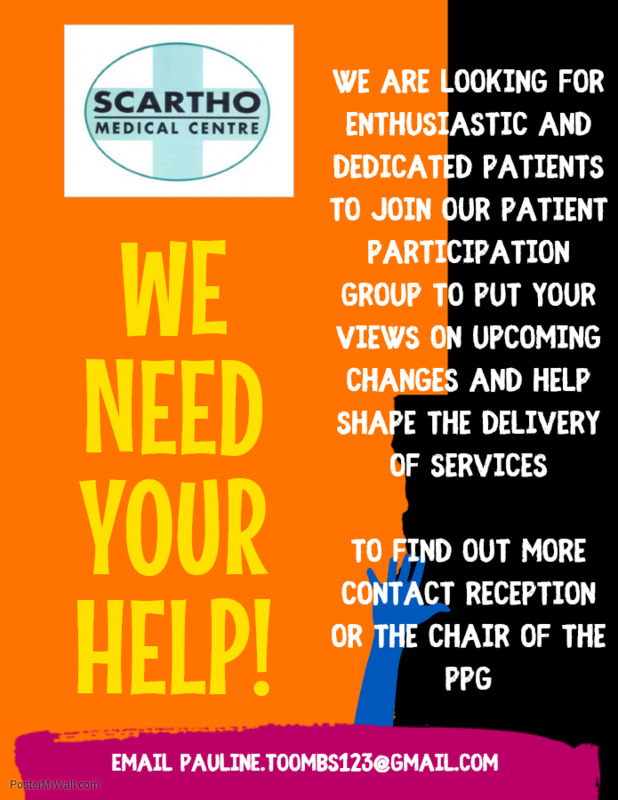 Dr Bruning’s patients will be allocated to the remaining doctors at Scartho Medical Centre. We are in the process of recruiting to this GP vacancy. You provide unpaid necessary care by looking after a family member, friend, child or partner who is ill, frail, disabled or has a substance misuse problem who could not otherwise manage without your support. Please let reception know that you are a carer, so that we can add you to our carer’s register, and signpost you to organisations who can help to support you. 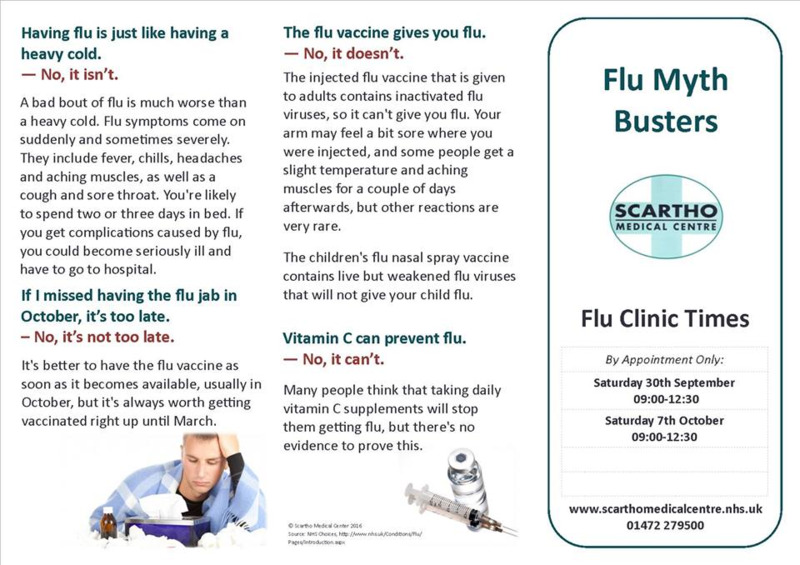 If you have any concerns about having your flu vaccine, please read our "myth busters" leaflet, which would hopefully alleviate any concerns you may have. Scartho Medical Centre has been certified Disability Confident Committed! Because of our work with the Down Syndrome Association’s WorkFit programme, we understand the value of recruiting from a diverse workpool, both in terms of how it can enrich both the employer and future employees who have a Learning Disability. Receptionists aren’t medically trained so why do they ask why I’m calling? A common bug bear among patients is around reception staff asking questions about the reasons for a patients call when ringing for an appointment. Commonly patients will feel that receptionists are prying into the patients business and that they’re not medically qualified so what business is it of theirs? Conversely however patients are also commonly frustrated at appointment availability or wait time for routine appointments. The two points may seem unrelated but they are linked. It may help if I explain the reasons behind the processes we use and why. As with the majority of practices in the country we are feeling the pressure of demand appointments, and particularly GP appointments. It is a fact that not all requests coming through to the surgery require to be seen by a GP, and nor do we have sufficient GP capacity for them to manage every appointment enquiry. We do however have a range of clinical staff with different skills who are qualified to deal with a variety of different health matters. We are continuing to develop the skill mix in the practice for example through our recent recruitment of a clinical pharmacist. Ultimately the purpose of a receptionist asking the purpose of the call is to attempt to identify the most suitable staff member or service to support the patient. This helps the patient to be seen at the earliest opportunity and supports appropriate use of available clinical appointments. Whilst some patients may have a good understanding of what conditions our staff are qualified to see, many patients will not. To be clear, what receptionist are absolutely not attempting to do is to make a clinical assessment or give medical advice and nor are they qualified to do so. They are however trained and given guidance by our clinicians over who or what service is most appropriate for certain conditions. It is also worth pointing out that in terms of confidentiality all of our staff, both clinical and non-clinical, are bound by the same standards. Staff are expected to understand however that some patients may not wish to disclose personal information for a variety of reasons, and that it is ok, it simply helps when this is possible. We have received feedback recently from out Friends and Family Test. It suggested that we have an answering machine for our patients to leave a message if needing to cancel an appointment. We would like to remind patient that we do have an automated system that allows you to cancel an appointment without having to speak to a receptionist. In addition, we would like to add that you can also order your repeat medication using this service.